There’s nothing wrong with manually chopping firewood in the good old-fashioned way, but why go through the hassle when you can use the best log splitter? With the help of this device, you can easily split logs into smaller pieces that would fit your fireplace — without getting sweaty and using up a lot of time. 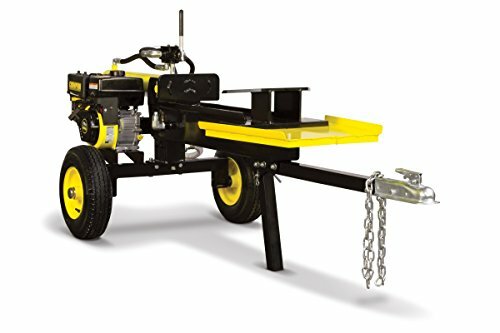 This unit comes with a two-speed, manually operated hydraulic ram that provides it with 10 tons of driving force, allowing it to cleanly split logs that are 8 inches wide and 18 inches long. Its durable steel construction helps it produce excellent power and allows it to last for a long time, while its rear wheels and compact design make it easy to store and maneuver around your home. You’ll love the fact that it’s easy to use and that it comes with a full two-year warranty. With a 2 HP electric motor, a professional-grade hydraulic system, and automatic ram return function, this device can finish the tasks in half the time and will definitely give you bang for your buck. There’s no need to worry if you haven’t used a log splitter before; the ES7T20 has an easy push-button electronic start and is designed for one-handed operation, so learning how to use it can be a breeze. 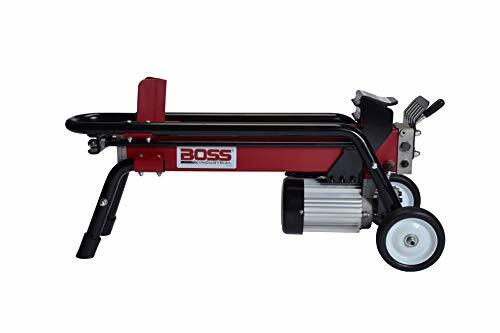 This device comes with a powerful 3 HP, 2,500-watt, 3,500-RPM motor, so you know that it starts every time you want to use it and that you won’t need to top off the gas every now and then. Its ram has a travel distance of 15.7 inches, which allows it to split wood in six seconds and be back in its original position in five seconds, ready for the next log. 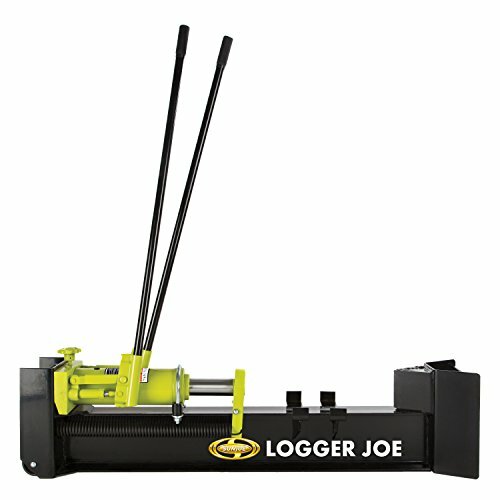 The splitter can accommodate a hardwood log with a maximum diameter 12 inches and maximum length of 20.5 inches. What’s not to love about this machine? It’s powered by a Champion 196cc OHV Engine, comes with a 4-inch by 23-inch hydraulic cylinder, and has a two-stage, 11 gallon per minute hydraulic pump that can produce a maximum pressure of 3,500 psi. It also has a cycle time of 14 seconds and can accommodate logs with a length of 24 inches and a maximum weight of 100 lbs. All of these combine to create a powerful and dependable machine that helps make log splitting an easier and less stressful task. The 100171 is more expensive than other models but, if you look closer, you’ll see that the cost is worth it. For one thing, it’s built with a 6.5 HP 196 cc Kohler SH265 engine and a 4-inch diameter cylinder with a 24-inch stroke, both of which make the machine powerful and help it have an excellent performance. 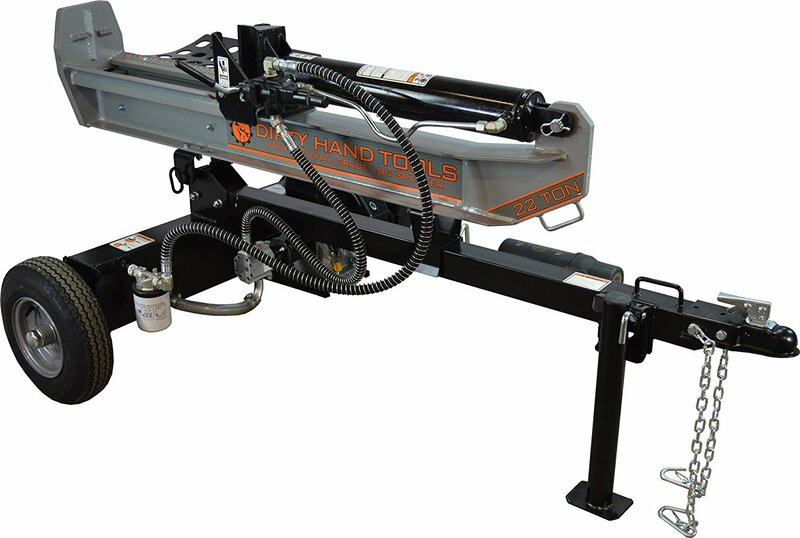 It can do both vertical and horizontal splitting and can complete a full cycle in just 10.9 seconds, which means it can complete the job in a fast and efficient way. 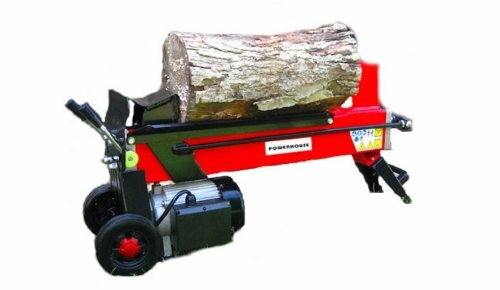 Learn more about these machines to know which one is the best log splitter for you.